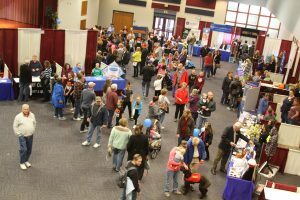 The 2019 Whitley County EXPO is just a few months away and you don’t want to miss this successful event to market your business or organization in Whitley County. The event is slated for Saturday, March 9, 2019, from 9 a.m. to 2 p.m. at Indian Springs Middle School, 1692 S. SR 9, in Columbia City. This is a great opportunity to get your business name out into the Whitley County community. You will have the opportunity to showcase your business to potential new customers. It is also a great place to share something new or interesting about your business. In 2018, more than 2400 local residents attended the event! Exciting sponsorship opportunities are also available. 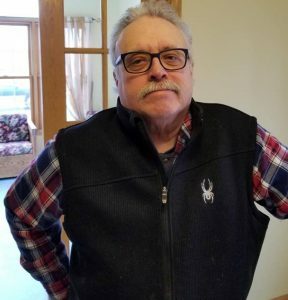 The Whitley County Chamber of Commerce & Visitors Center announced today that Bill Meader of Whitley County will be the first local artist featured in 2019 with an exhibit at the Chamber during the months of January and February. An artist’s reception will be held to officially open Meader’s exhibit on Friday, January 11, 2019, from 6 to 7 p.m. at the Chamber, 128 West Van Buren Street in Columbia City. Meader was born and raised in New England, later moving to Philadelphia, San Diego and the San Francisco Bay area of California. Meader and his wife, Marcia, a Whitley County native and CCHS graduate, moved back to the area in 2013 with their daughter, Rachel. Now retired, Meader spent most of his career investigating insurance fraud for the State of California’s Department of Insurance. Initially starting as a criminal investigator, he started as a criminal investigator investigating complaints of fraud committed by insurance agents, brokers and insurance companies. While in law enforcement, photography piqued his curiosity. During retirement, that interest in photography expanded. “It was when I retired and moved to Whitley County in 2013 that I took photography up as a hobby,” he said. From his wooded home in Columbia City, Meader is surrounded by incredible imagery — nature and wildlife — that inspire his work. Meader believes Whitley County provides a beautiful backdrop for capturing great photos. “I am fortunate I can experience things and share them with people who may not have the time or ability to get out and see the beauty in Whitley County.” He enjoys photographing a variety of subjects including the moon, wildlife, wildflowers — but his favorite subject is foxes. “I want to create pictures that tell a story,” continued Meader. “I think a good photograph gives the viewer a sense of what the photographer was trying to convey when taking the photo. I also want to continue to learn the more technical aspects of photography as a way to improve my skills. Largely self-taught, Meader has taken some online courses and often reads articles and books about photography to help him continue to hone his skill. The exhibit at the Whitley County Chamber of Commerce & Visitors Center marks Meader’s first showcase of his work and Meader is the first local artist featured during the Chamber’s 100th year. “I thank the Whitley County Chamber of Commerce for giving artists the ability to share their creativity with the community,” Meader said. Meader’s exhibit will remain on display at the Whitley County Chamber of Commerce & Visitors Center through the end of February. Would you like to be among the first to welcome new businesses? Do you like to know what’s happening before it happens? 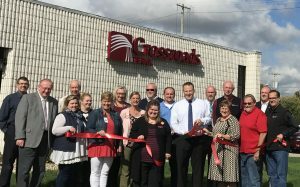 Do you enjoy celebrating good things in Whitley County? If the answers are YES, you might want to consider being an Ambassador of the Whitley County Chamber of Commerce & Visitors Center in 2019. The Chamber Ambassadors will be looking forward to an exciting list of activities for 2019 — including helping to celebrate the Chamber’s 100th year and will continue to support the Chamber’s growth. Since 2016, the number of Chamber members has increased 28% — meaning more ribbon cuttings, open houses and other events to attend. Whitley County Chamber of Commerce & Visitors Center executive director Jennifer Romano has announced that new Chamber staff member Erika Wolfe will be leading the Ambassador team. “Erika has some incredible new ideas for the team and we’re excited to see what they’ll do. Our Ambassadors have an incredible role in the work we,” Romano said. Ambassadors attend monthly meetings on the fourth Thursday at noon, as well as ribbon cuttings and other events as their schedules permit. There is no cost to participate, however membership in the Whitley County Chamber of Commerce & Visitors Center is required. A kickoff meeting for the Ambassadors is planned for Thursday, January 24 at noon at the Chamber, 128 West Van Buren Street. Lunch will be served. The Columbia City Jimmy John’s location is just weeks from opening – and hiring for staff to make their freaky fast sandwiches is now underway. According to business owner Josh Grannell, the business is slated to open during the first week of January. Grannell said they are planning to hire 25-30 new employees to fill open positions in the restaurant. Positions include full time, part time and some management positions. In anticipation of that date, Grannell has set two dates for open interviews next week. Open interviews are planned for Tuesday, December 18 and Thursday, December 20 from 5 to 7 p.m.
For those unable to attend the open interviews, Grannell said there will be applications available at Jimmy John’s, 289 West Walker Way Suite 3 in Columbia City. “We join in Jimmy Johns’ excitement to open their business here in Whitley County,” said Jennifer Romano, executive director of the Whitley County Chamber of Commerce & Visitors Center. A ribbon cutting ceremony is being planned by the Chamber for January.